* Kova gave a nod of her head to Ayaka in agreement. “I can take up the rear” she offered before her hues fell towards any wolves who where within their little sanctuary. SHe let loose a few barks and chuffs to stirr them from their slumber. A beacon to rise them from their rest and let them know they where getting ready to move out. “I’m sure they are indeed. We will meet up with them soon.” she’d be keenly aware of who was awake and dipped her head to Fianna. * Ayaka joined her voice to Kova’s letting her own tones slip into a howl, hoping to bolster the others, to offer courage and strength. She nosed Kova after, dipping her head. “Okay. Would you like to give the others a lineup this time?” She asked, keeping herself and her sister on equal footing. * Darth would hear Fiannaâ€™s chuff to him and nod back to her as he continued to scan the group. If Fianna came by his direction, he would smile toward her; â€œHello Fianna, How are you today?â€ He would ask to her in conversation. 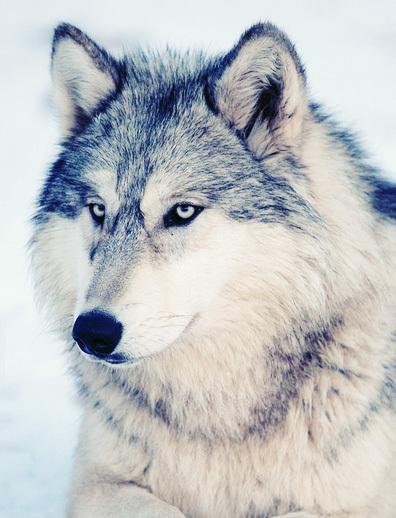 He would look and see several other wolves waking up and starting to move around, and would take note of them as well. * Fianna ready to be a help rather than a hindrance. “How are you today Darth? Ready to move on?” She was ready. More than ready, she needed to go on, to figure out the answer to the mysteries holding them in thrall. * Darth would nod his head to Fiannaâ€™s question. â€œI am indeed.â€ He said before stretching; feeling only the discomfort of the herbs sticking to his side. He didnâ€™t feel any pain from the wound which he took as a good thing. He would look around for his sister, Kamaitachi and his friends Nightshade and Kajika to make sure they were getting up as it appeared the pack was getting ready for something. * Nightshade slowly rised her frame up with a yawn when she got pulled out of her sleep by the sounds of the surrounding, rested well and fully charged she had been slept next to darth. “I’m awake” she responded to the call of Ayaka and Kova. as she was stretching her frame on her 4 legs, her eyes went to the place where the prey should been there “Is the prey already gone” she asked to the rest of the pack. * Kajika made his continuous rounds about, the area around where they were staying was quiet enough, but the longer they stayed, the more he felt like they were almost being watched. As he came back into the forest, he followed the trail of paw prints in the snow leading to and from their resting place. And it looked like there was some activity that stirred the wolves awake as they were grouped together and he would chuff out ahead of him to let them know that he was joining them, hearing the last little bits of the conversation but not early enough to hear where he would be himself so he would guage where everyone was before he would fit himself in. Going off of their journey so far, he would guess that he would be somewhere in the front. He had to make a quick stop back by the tree to pick up his bundle but then he was bounding over the snow to catch up again. * Fianna if she could. 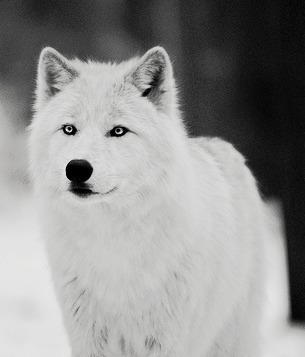 * Kova would look to suddenly all the wolves whom where awake. She let loose a gentle chuff once more to initiate that it was time they continued on their journey. She would wait for each wolf to take their place before she would proceed after the rest. Falling into her own place. She looked behind her once more down the trail that was still covered in snow and made no note of anything in particular. * Nightshade slowly went to Darth and nuzzled him as a greeting “Sorry for not greeting you and ofcourse everyone else” as she watched around ” Are we moving again?” she asked to Kova and Ayaka as she settled her position next to Darth and kamaitachi and Kajika. she yawned once more and shooked her pelt. * Kova would offer a moments thought before she paused in her steps and nodded towards Ayaka. “Herm. Yes you are right… maybe behind you and Darth?” she said as she would start to walk alongside Ayaka now, then turning to Fianna. * Ayaka nodded, dipping her head then and turning to nose Fianna as the fae came near, once. “Don’t take it to heart Fia. We are doing the best we can with the alphess and Shukie away. Caution is best right now. We know you are loyal.” With that she wouls chuff and set off to the north, taking up the lead, as she knew the others would follow! She set an easy pace at first, leaving behind their copse of trees, their temporary sanctuary. * Darth nuzzles Nightshade back and nodded; â€œit would appear so.â€ He said with a smile as the pack started to head out and eventually finding his place within the group; padding alongside Kamaitachi and Nightshade; he would look around and spot Kajika and chuffing a greeting to him, as the pack made their way from their resting spot to continue their expedition toward the alphas. * Fianna ‘s ears had gone back at first to the change, but she knew the others were doing what they thought best. Being only assessment she had to go along with it. She understood their reasoning too, for Calder had seemed to single her out. Her and Kwa`ani. So, she bit back her pride and nodded. “Yes Kova, Ayaka.” And once Ayaka had trotted into the lead, Fianna would fall into the middle of the line, head up and eyes vigilant despite her place of protection. <Kajika> As Kajika watched for a moment as everyone organized themselves, he could see that Fianna was taking the front this time and everyone else fell in behind her, that is at least until she stepped aside and let Ayaka lead the way. Their little column was almost complete and so when he heard Darth’s greeting to him as well as the opening beside the other male, he fell in step with him as they kept going. His tail wagged in greeting as they continued forward with the light through the clouds illuminating their path and their surroundings as much as it could. 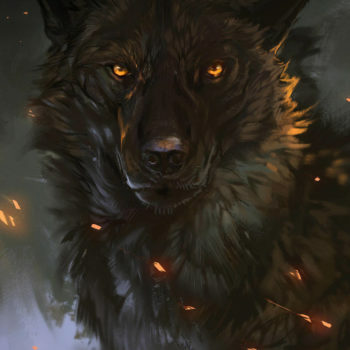 * Kova would wait for each wolf to fall into their place in line before she woul start to move after the rest. She let loose a gentle breath before peering over her shoulder one more time before she would continue along the chosen path north. They had to keep going north. She didn’t know what would await them there, or beyond, but she was confident in their ability to keep their family and themselves safe while they meet up with Shukie. * Nightshade had found her place as what was been suggested and greets Kajika and kamaitachi, “I’m ready to move on, now Fianna is between the pack, I’m sure Calder won’t plan anything that easy anymore on her, I hope he won’t bring us in any danger,, but that’s to naive to think” she spook when ready to follow when everyone was also ready to go. <Calder> Had remained hidden and well out of the way but vigilant to the pack and thier movements. Or lack thereof. He kept his dreamy hues on the horizon and the little pocket of forest the pack had nestled themselves within. He wondered quiet often in the passing days what kept them, but, he remained paitent enough and finally they moved off. He still had a little bit of pace to go but the little meeting spot was actually just more northerly on their path. He grinned and said quietly “Finally.” it was within those next movements he would take off towards the north but well around the rest of the pack. His game now was to beat them to the spot he had picked out. Depending on where the pack would go would depend if they even saw his tracks. * Fianna had time to settle down again, Fianna resolved, she would work harder at understanding those of the pack. Surely that’s what Atraya would do.. for now though, she enjoyed the sparkling snows, as they emerged from the pocket of forest. She measured her steps, feeling out her side and once more pleased that seemed to be healing so well now. * Darth would look back over to Nightshade as she spoke and would nod; I donâ€™t think weâ€™ll be in any danger. Beta Shukie is up ahead and Iâ€™m sure scouting the best and clearest way forward.â€ He said before leaning down to nuzzle her as they continued along their journey. * kamaitachi looked to her brother and night. “Hopefully it’s not a trap. But I can’t push it away that it’s not going to end well” she said nervously. She was scared but that made her all the more hyped up to fight if it came to it. As the wolves would start to assemble their line and make their way further north, they would find that the forest would be fairly on the thinner side as far as the density of pine and tree’s, but there was no void of life. Ahead of them they could see a large tree covered with speckles of white and grey. A fairly large and bulky tree and one that the wolves probably have never seen before in their own territory. Do they stop and investigate it, or just keep going? Ayaka kept pace at the front, ears perked and her whole body held vigilant. She didn’t remain in a single line but rather coasted to the sides and front of the pack as she kept watch, knowing Kova and skydancer held the rear. Seeing wasn’t hard, due to the trees being more spread apart here than the forests back home. As she moved at the front she would glance back to make sure all were following as she picked up the pace to a cautious trot, the snows crunching underfoot. Ahead, an enormous tree, fat and no doubt old, rose, causing her head to tilt up as she studied it. As they neared, she slowed again to walk, cautious as she looked around, inhaling for any hint of foreign scent. * Darth would look down toward Nightshade; “Nobody was saying you were a scardy wolf; I especially wouldnt say that.” He said as he nuzzles her once more. He kept his ears on a swivel checking the air for suspicious sounds that may befall upon them. * skydancer ears turn toward the conversation ahead of her one at time so as not to loose track of her surroundings. with its size then tree is rather hard to miss and once gets close enough takes a momentary or two to check it over is their anything at all odd about it other then it simply being a different species of tree then those within ws teritory. * Kova would proceed along the chosen path and kept slightly to the side of the rest. She would narrow her hues in quiet thought as she would move behind the rest but when they rounded the bend, the tree’s would let loose and scatter. She would feel a little better in the “open” this way for they could see anyone who might want to do them harm easier. She began to slow, however, when they came upon the large tree. There would be a crystal clear creek that seemingly ran right alongside the tree before winding around. As Ayaka began to slow her pace she would find nothing totally unusual, however, there where small trinkets dangling high up in the canopy. If the light hit it just right there would be a twinkle of color. All different as the sun hit the various objects in the canopy. The smell of an ancient tree out in the open would be evident. Much like the smell of the old ancient forest the Alpha pair had dened within. Fianna might find that smell of antiquity familiar the closer she got. The other wolves might find a some what ‘sweet’ smell emitting near it. * Fianna watched as the large tree up ahead drew ever closer. She studied it, not recognizing this breed, from what she had grown up with, yet it looked wizened in the same way the old sential trees in the ancient forest had. As they neared, that opinion solidified as she could smell the history upon it. What stories could it tell? As shr blinked up at the tree, the lights glinting off of it made her step pause. What would cause such a thing? Wondering if, somehow, this were another of Calder’s nudges, or tricks, whatever the case may be, Fianna tried to find his scent in the area, moving out of line slightly to scent the tree more fully at its base. * Ayaka wouldn’t have to go much out of her way to approach the tree for it lay within their northward path. As they approached, with care, she would watch the glinting within its bows, even as she would rub her frame gently across its base, imparting her own scent as a trail marker for Shukie to know they had been there. The further they went, the tenser Ayaka became as she watched for Calder or any of the pack he had mentioned. Were they within his territory yet? Did she smell any scent markers? * Nightshade was calmed down by the kindly words of her friend and chuffed relieved but still nervous, as she turned her head to the horizon, her eyes tracked a giant tree at the ending of the treeline. Not only the big tree caught her attention, also the treelines which become more thinner and thinner, not to been forgotten the newly scents. As they become more closer to the tree, A sweet smell was lingering. 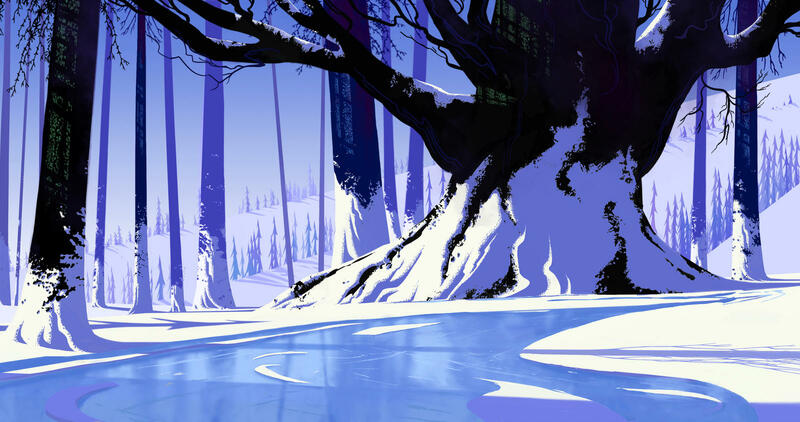 “That’s a large tree.. Kinda odd that it’s in the middle of this area, Any familiar?” she wondered and saw a frozen creek around the tree. “How are we gonna pass it by? ” she asked to the wolves in the front of the line. * skydancer checks the tree over making special note of the lingering scent and though the glittering things up among the branches puzzle and even worry her a little the trees size quite possibly doesn’t look especially strange to her eyes considering the forests shed grown up in. “intriguing it alone has survives for as long as it has.” she comments in soft tones while checking if others like it maybe growing nearby. * Kajika would have chimed in to the conversation to try to soothe their worries, but he didn’t know what to say exactly. They were feeling rested by now so anything they encountered would have to take them by sheer number. The size of the tree that seemed to stand alone and larger around than he could see from most normal-sized trees. As the others slowed down, he would also slow the pace they picked up to look up at it in wonder. He couldn’t imagine how many seasons that it must have been through and the branches spread out in every direction just over their heads. It was the slight motion in the wind as a light flashed and then disappeared that he completely put down the bundle of leaves and bark a good distance away from the tree to observe it fully. He turned his head to address the others, his eyes barely leaving the tree to see if he would see it again. “Did anyone just see anything flashing just a moment ago? Almost like water reflecting off of the branches?” He wasn’t sure if those were the right words, but there were very few things that reflected light like he had just seen that he normally came across. And it seemed as though the others were already making similar notes as they too questioned what they had seen. The scent was fading from the plants that he often carried around (as well as their potency) so he would also note the sweet smell that hung in the air around this particular tree and wondered what was the reason behind it. The resounding caw’s of distant ravens could be heard breaking the silence. As if to some how add more depth to the scene. The glint of colors would flash every now and then in the tree and as the wolves would get closer to investigate they would in fact find the smell and scent of a wolf. One in particular to whom they where now familiar with. Calder’s trails and tracks led this way and that around it but seemed to never go fully around the entire tree. There was even a portion that looked like they disappered into the tree entirely. 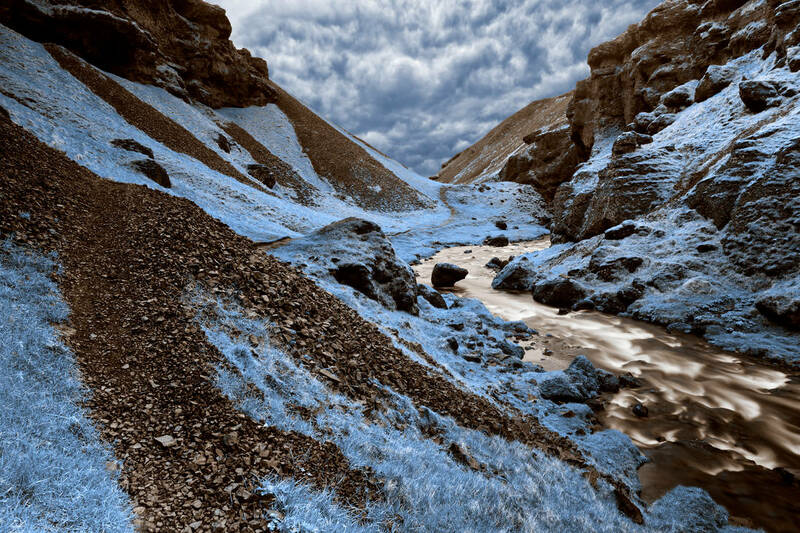 * Kova would proceed along the chosen path and eye the frozen creek, though the water still moved just below it’s icy surface. She would wiggle her nose as she came up last upon the tree and glanced up and around. She would perk her ears to Kajika’s question and tilted her head as she now looked to the canopy. Indeed… she caught small flickering of color. What on earth was this tree? She would look towards Ayaka with questioned hues, which she knew she no doubt had the same questions. * skydancer at recognizing calders scent her hackles come up and she drops her attention down and after a few moments of looking for potential tracks she spots them and start wandering around with quite a bit of care so as to disturb the tracks as little as possible until she reaches the tree and stares. at the trunk. “you’ve got to be joking” she voices to no one in particular while looking for what as to be a way ‘in’ as it seems has to be possible. 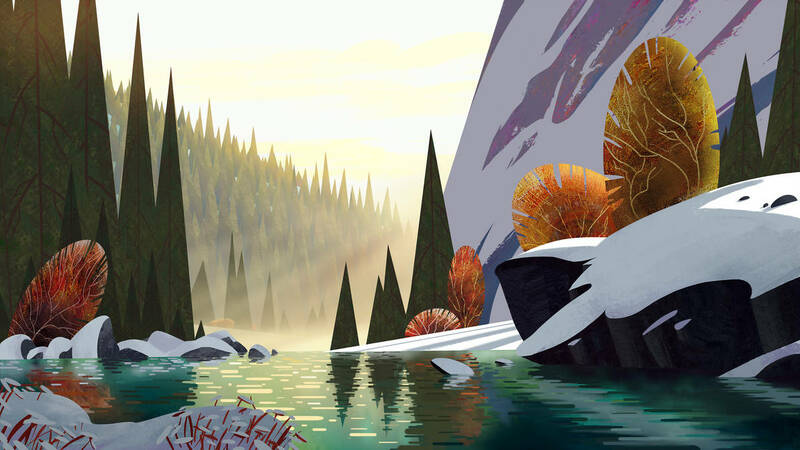 * Nightshade heads tilted when other wolves were inspecing the big tree and heard them speaking about the flickering colors, she narrowed her eyes to find out what they were seeing. ” flickering colors?.. Is it a christmass tree?” she joked to them and kept her eyes on the tree “What’s that smell?” and stayed away from the Icey area. Something was not right. Her ears were perked when a awfull sound was been heard by her in the distance, birds.. but she knew those sound early before from the past. Caws or ravens couldn’t be a good sign… It was always something omnious about them… legends are that they were messengers, bad luck was luring, dead bodies.. or something else what kept her anxious. “Darth…are you hearing something too?” her frame went stiff and ears flattened..
* Ayaka glanced over, meeting Kova’s gaze from where she too had been inspecting the tracks near the tree where skydancer was. Was this Calder even truly flesh? Or was he spirit like they had come across all too recently. If he was spirit, he was very good at manifesting in the flesh. The scent of him caused her to rub against the trunk of the tree again, glancing to make sure Fianna was still nearby. Yes, she had questions. Lots of them. “Lets continue on. This is yet another mystery Calder must soon explain..” she offered to thosr who had gathered, making sure Kova was ready to head out as well. <Calder> Would have continued along the chosen path around the wolves who now set sail on their paws to the north. He would be swift about his pace and ensured to keep as well out of sight as possible, but with the thinning tree’s it would be increasingly difficult but he did know these lands like he was made of them. Perhaps these where his lands? Who really knew, but, he continued at a hurried pace to the desired location of his choice and hoped that the wolf who was to meet him there would. * Kova as they would slow to investigate the tree there was an oddity about it, but a mystery she found very interesting. She desired to stay longer to investigate it but she knew they couldn’t spend much more time there and had to keep pressing on. It was already mid-day. She would chuff to the others in front of her and urged them to progress forward. “There will be time to look at things on our way home with the rest of the family.” she said to the others who where in front of her. * Fianna had caught Calder’s scent as well, and it brought back to mind his touch upon her those days ago. His voice, telling her to come alone. She had her pack with her now, and she only hoped he’d be willing to answer their questions. She shivered a bit, following Ayaka’s example and brushing her frame over the tree in passing, eyeing the trinkets in the trees bows as she moved beneath it. Suddenly urging her paws forward,worried, she caught up to Kova and Ayaka, hoping to speak with them. “What if… what if he refuses to speak with us if I don’t go forward alone?” She asked, not needing to clarify who ‘he’ was. “What if I did go, but you followed close behind? I would stop where he couldn’t get close, and I would ask him the questions you want me to. I just..” she flattened her ears a moment. “I don’t want to lose this lead on my mother.” Inwardly, she felt curious too, about who Calder really was. * Nightshade “More no good feelings about where this journey would lead to” she huffed worried at Darth when he tried to relax her a bit. She licked her muzzle from nervous stress and tried to put her doom thoughts away. ” But that doesn’t make me a scarity wolf”. * Darth looked to Nightshade as she spoke and perked his ears to listen for what she may have been hearing. Not hearing anything out from what he called the ordinary, he looked back to Nightshade. â€œWhat do you hear?â€ He asked, taking note of her posture and expression. He was worried that something was wrong and he wanted to find out what, and as they started to continue on, he still looked to Nightshade in worry. Nuzzling her… and as they started to continue on, he still looked to Nightshade in worry. Nuzzling her to try and comfort her. * skydancer while hearing both ayakas and kovas words she is reluctant to give up so easily and even goes so far as to press her nose up against the bark above where the tracks disappear in to the trunk. perhaps some sort of important answer lies within. only if that doesn’t work does she, reluctantly back away before following after the others casting the occasional glance past her shoulder to make sure of the odd glittering tree. * Ayaka paused as she moved off, Fianna coming alongside her, worry on the fae’s brow. “Until he said that to you Fianna, Calder has given us no ultimatums. Surely if he harbors no ill plans toward you, or us, he will understand our caution.” She looked to Kova to see if she agreed, her eyes skimming to where skydancer investigated the tree a few moments more, curious if the nose touch would find anything. <Kajika> “I think she is talking about the ravens.” He answered Darth’s question. Off in the distance but distinct enough to pick out. And maybe each wolf had a different reaction to hearing the dark-feathered birds. To him, they were the sign of a kill that had been made and then left by bears or other wolves on his journey but that now seemed so long ago that did better to sate his hunger than measly prey. He answered, continuing to look on at the tree, wondering what it must look like in the middle of Spring or Summer. Both Ayaka’s and Kova’s words were enough for him to turn back to pick up his bundle once more and looked on to where they would have continued going if this tree didn’t block the most direct route. He would look for this tree on their way back. He would levitate to the back of the group again and would be unaware of any other conversation as he listened to the one Darth, Night and Kama were having. * Nightshade replied to Darth ” I thought I heard some birds in the distance breaking the silence< Could be wrong” and in a blink of a moment she saw fianna moving to where ayaka and kova were, as she were focussing on what Fianna said to them, her head nodded with disagree “That wouldn’t be a good idea, Don’t please his desire.” as she followed up the pace again “Family shouldn’t be left alone, we’re in this together” was she continue her words and wondered what the other said. * Kova would have caught Ayaka’s glance from behind and gave a knowing nod to her. As all the others made their pass along the tree she too would offer her frame against it. She brushed her shoulder into it’s side, gruuuuing as she did as she managed to get an itch as well. The days where growing warmer and soon her coat would start to shed. When Kajika would migrate further towards the back she dipped her head slowly to him. She would mirror Fianna’s own reservations and thoughts on the whole ordeal but they would have received strict orders from her sister Shukie to not engage anyone alone. Especially a male. All points brought up however where indeed valid. * Darth would perk his ears again, and it was then that he picked up the bird calls that she had heard. â€œOkay; I do hear birds. Wasnâ€™t sure what I was listening for.â€ He said as he would listen now as Fianna made her plea. He shook his head and wanted to object to her, but knew at this time it wasnâ€™t his call. All he could do is listen and hope the leaders had common sense with them. Granted he understood her point, and all he could do is listen and hope the leaders had common sense with them. Granted he understood her point, and knew it to be valid; but also knew that the pack couldnâ€™t spare her to Calderâ€™s possible trickery. * Fianna finally dipped her head to Kova and Ayaka, after a strained moment. She could feel the reservation the rest of the pack had against Calder, and while they weren’t unwarrented, she felt a spark of annoyance at Nightshade, who was not even a member yet, to think she knew what was best. Still, she said nothing else and dropped back behind Ayaka, moving on cautious and careful, everything in her growing wary and tense. As the wolves would continue to press on and past the tree, they would find the woods continued to thin out. Once more they would soon be out in the open for the most part save for tree’s on either side, scattered about to make an unusually direct trail. Ahead of them would be a tall mountain towering over the landscape. Taller then the rest surrounding it. * kamaitachi moved in by her brother and walked on. She heard fianna talking and if anything she would sneak in silence for her. She did not like this Calder wolf. * Ayaka agreed with Kova, her tail twitching as she turned to nod at Fianna as she moved back. At least the fae waa taking it well enough. She heard Nightshade’s words, but didn’t acknowledge them other than to nod in her direction. Moving on, the north would once again beckon them, as evening began slipping over the mountains. Eventually, they would exit the treeline and it would seem that almost a straight path would open up before them, the forest becoming almost a wall on eithet side, the mountain ahead, a beacon. She paused, looking at its grandeur a moment, before she began padding along the pathway, eyes and ears as sharpened as ever, her nose seeking any hint that Calder – or anyone else, was nearby. * Nightshade mentioned the tension from Fianna and lowered her head as she was thinking out loud by her own words ” Maaaybe…. I should be just queit… not a pledge anymore… and not the one who should give some advices or anything” she mumbled queitly on her own as she stared to the ground. Knowing now that not everyone might like what she would said, a chuff was heard from her muzzle and walked further after she pauzed a bit from the notice she took. A beautifull sky filled with orange clouds were appearing and gazed to the horizon which was nearing to her. * Darth would see the scenery as they came into open ground and thought of the beauty of the landscape. Reminding him of the packlands when he and his sister entered in. He looked to Nightshade and nuzzled her before speaking. â€œWow, isnâ€™t this amazing? So beautiful scenery here.â€ He said to her and looked back to her before smiling. 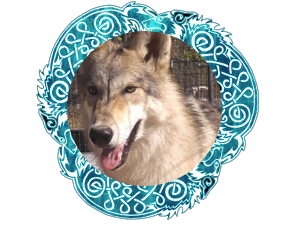 * skydancer as kova lopes forward she lifts her head briefly to look after the larger wolf then shifts her attention back to what she had been doing before. keeping an eye and nose on their surroundings especially the back trail. as she pads along she is well aware of the large mountain looming ahead of them. * Nightshade nodded and was fully amazed by the beautifull view “It’s like the sky is on fire, truly love this view, I can gaze hours at it” she smiled and saw a big mountain in the distance. “Is that smell from calder what they have mentioned at the big tree?” was her question at Ayaka. * Ayaka would turn as she heard Kova come up beside her, nodding agreement with the fae’s words. “Yes, I think it would be good to at least make it that far. Hopefully only a short rest this time as well before we move on again.” She would turn then as Nightshade spoke and nod. “Yes, his scent was there, as well as his tracks.” She too had thought about the crows as Kajika had, and as they moved she would be keeping an eye out for any sign of a carcass or other things that might draw the birds in. 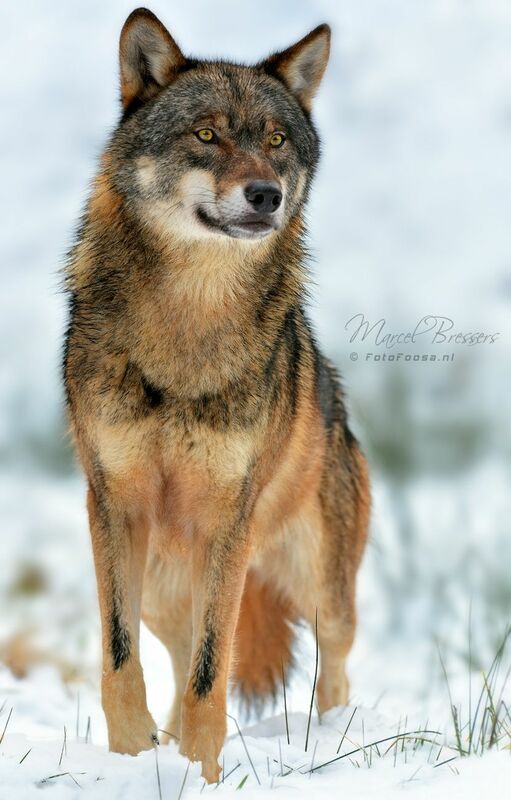 * Kova would nod in agreement “Aye.” she would nose Ayaka briefly before dipping her head to the other wolves who where beside her before turning around entirely and loping back to her spot in the back. Once she reached it she would slow her pace to match the others. Occasionally she would be looking behind her for any sign of foul play. As the wolves would continue on they would find there was not much to disturb them on their journey. Save for the cawing of ravens in the distance, the occasional wildlife that would hop out of their path it was a peaceful journey. So far. Perhaps an odd sense of peace would not be something the would have expected to feel on this current trial. Regardless, the world around them offered no rebuttal to their presence. If the wolves continued at their current pace and not slow down they would find that they made fairly decent time. The path to the mountain was a straight shot and almost seemed paved just for them. To convenient perhaps. Once the wolves started to make their ascent up the mountain they would find the trail started to meander a little to the east but upon the distance it looked as though it might continue north again. The trail would switch back in several places. Would they decide to follow? Or make their own path? * Kova would perk her ear towards the sound of a call and would once more lope from her place and now close the distance quickly between herself and Ayaka. She would slow herself and turn to look at where Ayaka and then Kajika was. She would wait with patience for them to gather. * Darth would stop where he was as the leaders of the group deliberated. He would sit back on his hind quarters in the meantime and nuzzle Nightshade before reaching over and giving a gentle nuzzle to his sister as well. * skydancer will turn back north further up. considering the steep slope there maybe more switch backs we simply cant see yet.” she offers as soon as she is close enough. 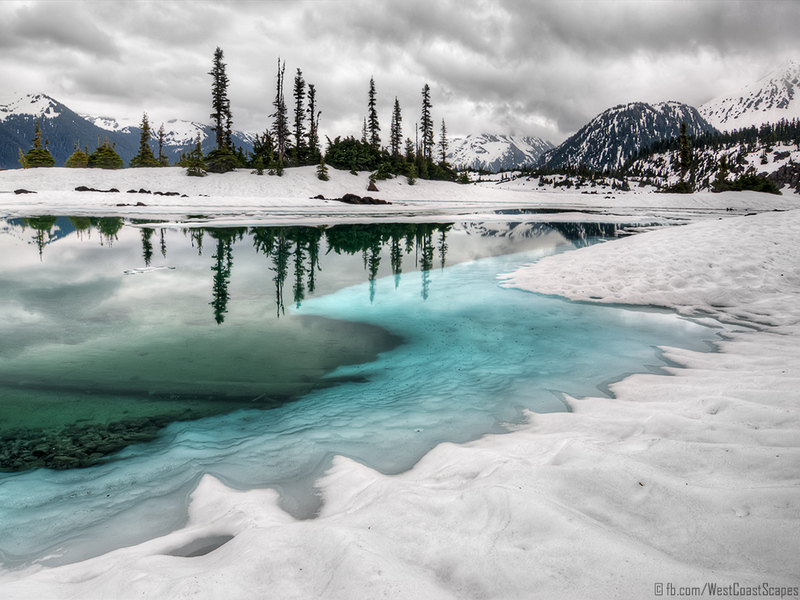 * Fianna off of its bejeweled expanse, the snow adorning it better than anything else could. What was that mountain? It seemed… important. It felt grandios, but more than that, it stood like a beacon. To mother perhaps? As the wolves continued to make their way along the suggested northern path, they would reach the base of the mountain and continue up the trail with little to no trouble. The snow was still very much thick here so the trail had been worn by something or someone. There was however no trace nor trail of what did. It was just seemingly there. Almost as if the stone beneath it was warmed from the earth itself to offer a trail visible to the wolves. They would heard the usual sound of water echoing off the walls of the mountain and surrounding area as tree’s started to become more sparse. Rounding this switch back and another, they would reach a small cove of tree’s once more and a large creek would be seen cascading down from a small patch of surrounding foliage. There would be light illuminating the path ahead of them from the sun as it was able to break through the mountains hold. The water so blue and inviting. * Ayaka would be glad to feel that Kajika didn’t mind moving to the front , and she would move at a brisk walk mostly next to him, but even perhaps a step behind, though she could see as well as if she’d been way out front. She marveled at the patb they followed, and took care to search for tracks for she couldn’t figure out such a trail had been made, unless another animal had made it. Had Calder gone to all the trouble to sweep away his tracks? It didn’t seem likely given the male’s forwardness thus far. He wanted them to know of each of his gifts it seemed. As they rose in elevation, Ayaka would feel the bite of the cold all the more, and had to refrain from moving closer to Kajika just to feel the extra body heat. She didn’t know what his reaction to such would be, for she’d not interacted much with him outside their adventures thus far. Tonight though, they might need to sleep in close quarters so they all stayed warm. Eventually the sound of running water would reach her ears, and she blinked in surprise as she beheld the the water. How was it not frozen? She moved toward it, bending low to investigate. Was it warm? * Darth would nod to Nightshadeâ€™s words; â€œyou and me both.â€ He commented as they continued their journey forward toward the mountain. 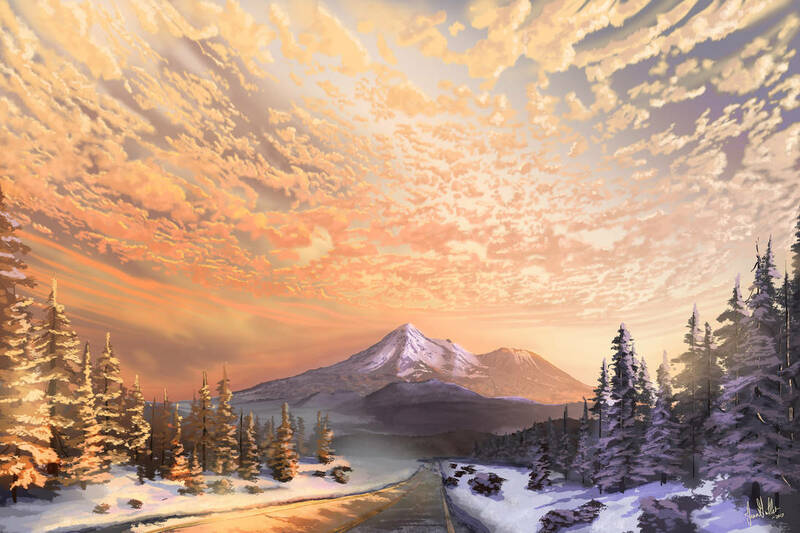 * Fianna felt the bite of cold too, and her first thoughts went to Kwa`ani and Shukie, especially as their own path took them upon this more treacherous route up another mountain. She hoped her sister was safe, and warm enough… she dutifully kept to the middle of the pack’s treking order, and carefully placed one paw before the other, mindful of her footing despite the seemingly manicured path. As the others checked out the stream, Fianna held back, glancing around as if she could feel eyes upon her. They were likely in Calder’s territory now were they not? Where was his pack? Where were their scent markers? Ayaka would find that the water would be cold however, it wasn’t as cold as she might think it to be this far north and with the fresh snow. The stream was running from a clear pocket and open space in the mountain. Clearly the path led up in that direction as well. * Nightshade wondered if there’s a resting place already planned, the cold did made her muscles stiff so she shook it away when it bothered a bit. Meanwhile she looked at the stream next to her and thought by herself ” how could it run?” And looked back forwards and chuffed..
* Kova would watch Ayaka and Kajika from her vantage and gave a quiet smile before she would peer behind her, pausing only slightly in her steps. Good, no one was following them. She waited another moment before turning and promptly making to break any distance between herself and the others. She heard the tones of Nightshade and Darth and proceeded with light paws. She too would be interested in their stories and what they had to share. There was time between them to pass, but for now she kept to herself allowing them their conversation and not wanting to break it. She would peer to the water as the trail became some what of an unusual thing to her. How odd… she thought. <Kajika> With no snow to break for those behind him, he simply followed the path that almost seemed like it was made for them. The rocks felt sharp in comparison to the cold snow and he did his best to not get any lodged in his paws. Now that he was in the front again, he would have to check over his shoulder like he had gotten used to on their first journey out instead of simply looking ahead when he was behind. The rushing water seemed to draw the attention of the others and he would be curious about it but didn’t make his way over to its edge. Whatever had warmed the snow from their path now might also be the same force that kept the stream from freezing at this elevation and that seemed to make sense to him. * Ayaka found the water cool to the touch, and she dipped her muzzle in for a drink as well, before raising it again, dripping slightly as her tongue slipped out to catch the drops before they fell. She glanced back to make sure everyone had made up the slope thus far, then followed the stream upward further to where it seemed the steep slope would level off a bit, the stream disappearing from view. She nosed those were nearest her and gave a wag of her tail. “Not far now I’m sure until we find a place to rest for the evening.” Glancing toward Fianna she would assess the fae to make sure it seemed she was doing well enough to continue, and then onward and upward she would go, keeping to the path. * Fianna would catch Ayaka’s glance and rise, trying to show she was ready, her honey amber hues bright. She wouldn’t flag. Her ribs had healed enough to push on a bit farther. When the others would move on, she would take her turn at the stream for a quick drink, then follow along. 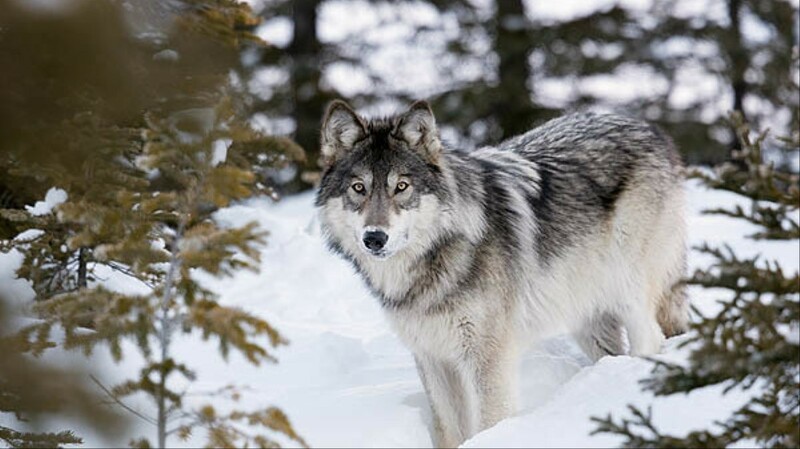 As the wolves continued on the unusual trail they would be met with no resistance but more so invite. The air would be getting cooler here and the snow thicker again the higher in elevation they would gain. The trail that would be before them would round them eventually over the knoll and when they would reach the other side they would be met with an almost unnatural clearing. How odd for it to be nestled in this scene. It was here none the less and it was up to the wolves now to pick their place to rest if they indeed decide to stay here for the evening. * Nightshade replied to Ayaka ” if we’re resting..maybe the strongest ones should seek for some small food supply to keep our strength, like what Darth and I tried” she offered this idea because it could be useful for the next journey. <Calder> Would have been at a very quick and hardy pace all day, ever sense the wolves had left and he was just now reaching the further most easterly route that led to the same mountain range the pack just now reached. He had already climbed up the other side and into a small cave system that connected from the outside to the area they where just now arriving at. He found himself laying just within the mouth of the cave, higher up, and waited for signs of the pack to pass through. He’d be no doubt observe where each wolf was and who was left. 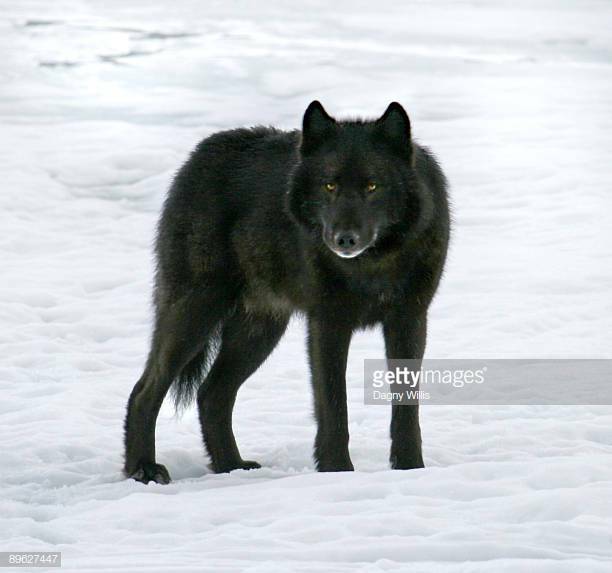 * Darth would listen to Nightshade as she spoke to Ayaka; “I have to agree, those that can hunt or have experience with hunting should stockpile some food for the pack.” He would comment after Nightshade finished her comment. * Kova would continue along the path as she followed now after Kajika’s own trail that he now led for the rest to follow. She admired all the wolves who stepped up for this adventure. There was a lot to be said for a pack to follow those of each other and not their Alpha’s or Betas. She only hoped her sister would find their clear marked trails to reunite again. She hoped that whatever mystery took their alpha’s didn’t claim her either. She would proceed along the path and eventually when they would crest over the knoll in their way she couldn’t have imagined the sight before them as it was unveiled. How… beautiful. She would be taken back for a moment as she admired the horizon before she would close the distance now from the rear to the others. She would dip her head softly to Darth, Nightshade and kamaitachi before she came up to skydancer, kamaitachi and Ayaka. “I will patrol the far east of that embankment and woodland area.” she would brush her nose fondly back across Ayaka’s. * Ayaka would perk and glance to Kova, then at the others. “Perhaps skydancer and would patrol with you? I think we should none of us be alone at any time now.. we must be close to the place Calder mentioned to Fianna. I will stay with the rest, here..” she would worry for Kova if the fae explored too far away from the pack. Still, she would choose to settle on the bank of the pool, to the north of where they had come in at,and hopefully north of the pack, if only by just a bit, so that she could keep watch. She didn’t intend to sleep, but merely allow herself a rest while she kept vigil. There, she would settle and curl her tail around her, as if to ward off a bit of the chill. 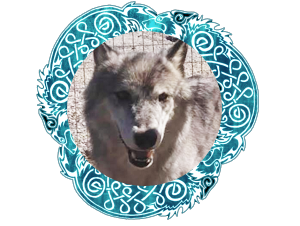 * Kova gave a nod to Ayaka “Of course she’s welcome to” she looked to the fae and welcomed skydancer to come along with her before she dipped her head to all the other wolves before she would make some what of a quick haste to her post. She was eager to ensure there was no threat or harm that rested within. * Fianna would indeed feel chilled, and as Ayaka moved to settle near the bank of the water, head up and alert, Fianna carefully approached as well, settling with her back to the fae, so that their warmth could mix and share. * Kajika as he reached the top of the short hill in front of them, he was met by a sight that almost reminded him of the entirety of the WolfSpirits’ territory as he knew it. There seemed to be mountains on all sides but much closer on all sides that almost seemed like home. He waited there for a moment, counting as everyone else made it over before fighting the pull of gravity as he went to go back to where he was in the front. Once he reached the bottom, he turned back to the comments about hunting and when Ayaka spoke up about it, he nodded his head. It made sense, and if they were in Calder’s territory, even small teams for hunting might be met with unseen aggression. The question still remained in his head as to whether or not they would be granted safe passage in this territory. These were the rules they expected visitors and newcomers to follow in their lands so it only made sense that they follow them when “visiting” others. He gave a short nod of his head in understanding at where he would be when they decided to take off again. In his mind, he was looking for a place to rest that would offer the best shelter from the elements as possible. It looked like there was a spot that he would claim to sleep had his name written on it, but he stood where he was and listened to the patrols and who would be going with who so he could keep track in his head where everyone would be and who would last be seen with who in case something happened.